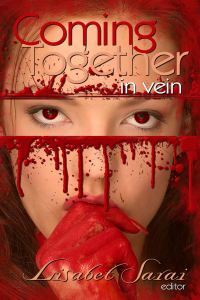 "Which is why Coming Together: In Vein was such a pleasant surprise. It’s obvious that Lisabet Sarai is well aware of the tropes and has gone out of her way to collect stories that take at least a step (but usually two or three) away from the usual vampires – did I really just say ‘usual vampires’? – and bring something fresh to the collection. "Before I delve into the stories, I’d also like to take a wee moment to point out that this collection of stories gives you something you don’t see often in erotica – a good deed. Funds from the book go to Médecins Sans Frontières (Doctor’s Without Borders) – so this is a collection worth scooping up for more than just the quality included. "And just to be clear? There is quality included." Read the entire review at Erotica Revealed.